I would venture to say that of all of the themed clubs I have done over the years, Birthday Club is still on the top of my list. My very own home made Pin the Tail on the Donkey. 1. Everyone loves birthdays and you only get one a year, so why not pretend and add another. 2. The games are so fun and take me back to memory lane. 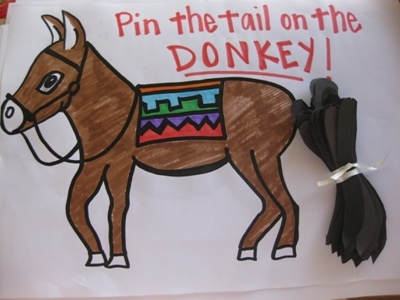 Pin the tail on the donkey, Hitting the pinata, Musical Chairs and so many more. 4. Birthday Decorations. So fun. So easy. 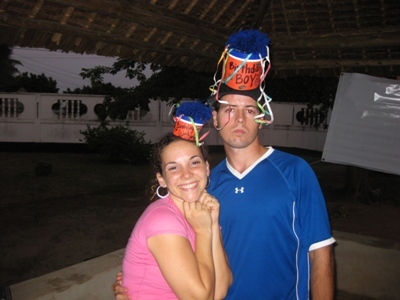 Birthday hats that make your chin itch. Blowers that give out too easily. Streamers. Balloons. And shiny Birthday Banners. Dyan cutting the amazing Birthday Cake! 5. Birthday Cake! Delicious. Doesn’t matter what kind, color or flavor. 6. Goody bags for the way home. 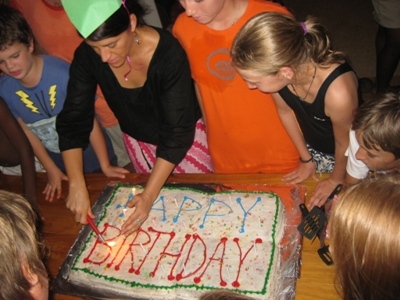 We put together Birthday Club for Wyld Life and it was a hit. If you haven’t tried it yet you should. 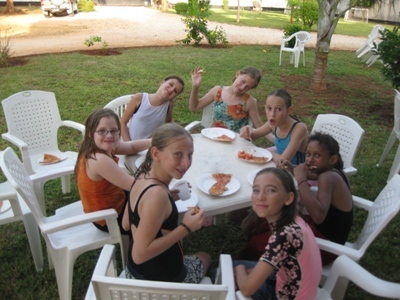 Pizza Time with the girls.